starsTruth is stranger than fiction! 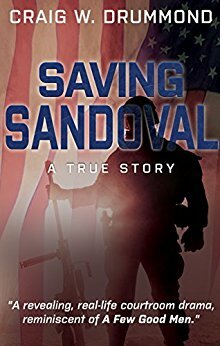 **SAVING SANDOVAL: A True Story (Deal, Not Free) by Craig W. Drummond. Price: $0.99. Genre: Non Fiction Deal, Sponsor, Military History, True Story, Criminal Procedure. Rated: 4.8 stars on 29 Reviews. 262 pages. ASIN: B072TV76J5. *The Cali Cartel: Beyond Narcos (War On Drugs Book 4) by Shaun Attwood, Jane Dixon-Smith. Price: Free. Genre: Non Fiction, Sponsor, History, South America, Cali Cartel. Rated: 4.5 stars on 38 Reviews. 214 pages. ASIN: B071L95TQF. ISBN: 1548433535. *Defending Mohammad: The Unfinished Story of the 1993 World Trade Center Bombing Trial and Why It Matters Today by Robert Precht. Price: Free. Genre: History, Americas, United States, 21st Century. Rated: 5 stars on 4 Reviews. 190 pages. ASIN: B01MYUY5L5. *Homefront Warriors: Not Every Warrior Wears A Uniform by Chantel Olson. Price: Free. Genre: Biographies & Memoirs, Professionals & Academics, Military & Spies, Historical, Military & Wars. Rated: 5 stars on 4 Reviews. 122 pages. ASIN: B01N8PJSXA. Posted on February 27, 2018 Author KibetCategories Free Kindle History Books, HIstorical, HIstory, Military, WarLeave a comment on Kindle History Deals for Monday! 6 Excellent Free Kindle History Books for Sunday! 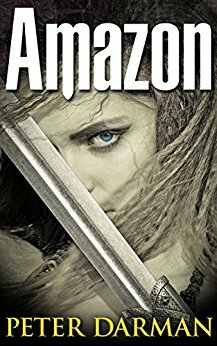 *Amazon (Parthian Chronicles Book 9) (Deal, Not Free) by Peter Darman. Price: $4.40. Genre: History Deal, Sponsor, Fiction Based on True Facts, 224 BC to 224 AD. Rated: 5 stars on 1 Reviews. 416 pages. ASIN: B079VHKZYQ. A map of the Parthian Empire can be found on the maps page of the website. Through Finland in Carts by Alec-Mrs. (Ethel)Tweedie. Price: Free. Genre: History, Russia & Former Soviet Republics. Rated: 4.4 stars on 4 Reviews. 369 pages. ASIN: B0082V2TDU. The Vanishing Race by Joseph Kossuth Dixon. Price: Free. Genre: History, Americas. Rated: 4.2 stars on 7 Reviews. 128 pages. ASIN: B004TQHLEY. The Winning of the West, Volume 2 From the Alleghanies to the Mississippi, 1777-1783 by Theodore Roosevelt. Price: Free. Genre: History, Americas, United States. Rated: 4 stars on 8 Reviews. 164 pages. ASIN: B00847K2UO. Canada: the Empire of the North Being the Romantic Story of the New Dominion’s Growth from Colony to Kingdom by Agnes C. (Agnes Christina) Laut. Price: Free. Genre: History, Americas, Canada. Rated: 4 stars on 4 Reviews. 584 pages. ASIN: B004UK09ZW. Elvis Presley: A Life From Beginning to End by Hourly History. Price: Free. Genre: Biographies & Memoirs, Arts & Literature, Composers & Musicians, History, Americas, United States, 20th Century. Rated: 4 stars on 4 Reviews. 36 pages. ASIN: B079YYT8Y5. Posted on February 26, 2018 Author KibetCategories Free Kindle History Books, HIstorical, Historical Fiction, HIstoryLeave a comment on 6 Excellent Free Kindle History Books for Sunday! *The Celts: Blood, Iron and the Forgotten History of the Celts by Patrick Auerbach. Price: Free. Genre: History, Ancient Civilizations, Europe, England. Rated: 4.2 stars on 21 Reviews. 57 pages. ASIN: B01MYPKFII. Wild Life on the Rockies by Enos Abijah Mills. Price: Free. Genre: History, Americas, United States, State & Local, West. Rated: 4 stars on 7 Reviews. 105 pages. ASIN: B004UJTTF4. Posted on February 25, 2018 Author KibetCategories Ancient Times, Free Kindle History Books, HIstorical, HIstoryLeave a comment on Kindle History Deals for Saturday!